Cambridgeshire Artificial Grass Co Ltd are a family run firm with over 40 years experience in the landscaping sector covering all aspects of hard and soft landscaping as well as having plenty of design experience. More recently, Cambridgeshire Artificial Grass Co Ltd have seen huge growth in the artificial grass market which has coincided with big improvements in the quality of artificial grass coming from manufacturers. The company are accredited installers of Easigrass artificial grass and can offer a range of options to suit all projects and budgets. Speak to Nick Howard and he will be able to offer a fully costed plan, design and build option for both the domestic and commercial sectors. Cambridgeshire Artificial Grass Co Ltd have used a range of EverEdge steel edging products over the years but prefer the 75mm option in the ProEdge range. 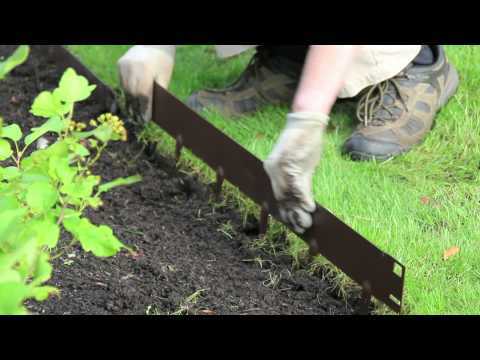 EverEdge ProEdge is a 2.5m long flexible steel edging product that is versatile enough to be used in most projects. It is flexible and robust making it ideal for the team at Cambridgeshire Artificial Grass Co Ltd.
For more information on the services offered by Cambridgeshire Artificial Grass Co Ltd, please visit their website by clicking here.